Have you heard of Calibre? No? Great! I would like to share with you this wonderful software for the first time. You have heard of it? Did you know that you can catalogue your Kindle books or even your paperback, hardbacks or even DVDs? So what is it? 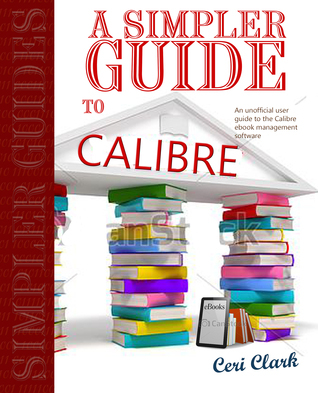 Calibre is free, ebook management software. "What’s that?" you might ask. Well, say you are an avid reader (I used to be although I don’t have so much time now.) I have hundreds, possible thousands of books on my Kindle. Kindle is amazing as is my ePub reader on my phone and tablet. If I want to find a book in any e-reader’s software, I have to search for the author, book title or go through categories. It’s not the easiest way to find books if all I want to do is browse and let inspiration hit me. Calibre is basically like the library catalogue you would find down your local library when you want to find a book, but it only holds your books, is tailored to you and is free! Shh, don’t tell your librarian that, they may go green with envy, those library catalogues can cost thousands! 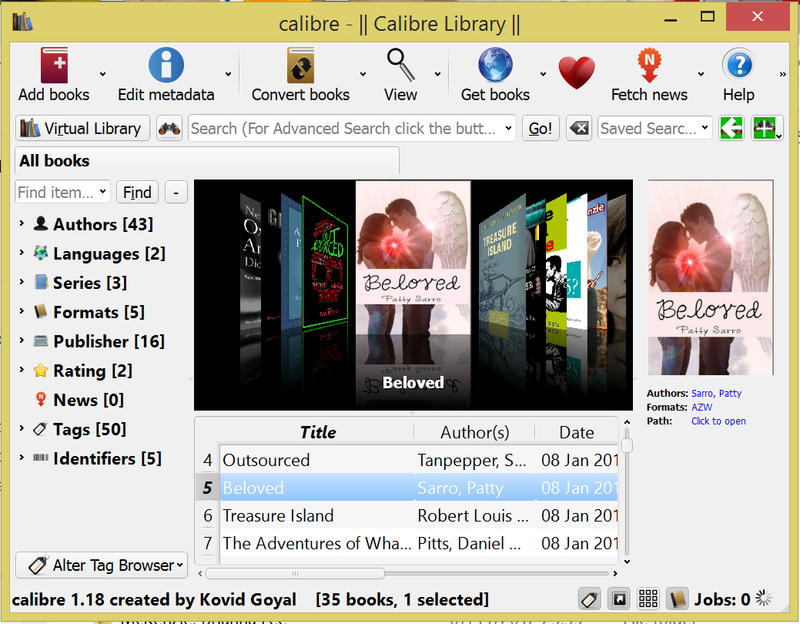 You can catalogue your book and upload it inside Calibre. When cataloguing you can give a book tags. This means that one book can be in more than one place, unlike a Kindle category. For example, say I have a sci-fi romance ebook. I want that book to go into the sci-fi category but what if I am browsing the romance category and I want something different? With Calibre, if you have put these two words while you are adding the book to your catalogue, then bam! You click on either tag in the ‘tag box’ and it will appear, begging you to read it. As a former librarian I’m going to admit to something I wouldn’t do in my old day job. Come on, lean in closer, I’m going to whisper this one. I judge books by their covers. I know, I know, I probably said it a thousand times not to do that to the kids at the school I once worked at but really who doesn’t? The reason I love Calibre so much is that I can choose a genre or one I make up when I’m cataloguing it and then with the cover flow on, I can later click on that genre and just flick with my mouse from right to left and get a load of beautiful covers flitting before my eyes. It’s like browsing in a shop. Click on that cover and the back cover description displays on the right. Another click and I have the option to send that book directly to my kindle (if it isn’t already on there) or then go to my Kindle and search by title. After all I now know what book I want to read. I do have to admit though, it does take a while to set up in the beginning but once you start using it, you will love it. I even put in my paperbacks and some DVDs. They are not ‘in’ Calibre like ebooks but the tags I put in tell me exactly where they are in my house (e.g. top shelf, guest bedroom) or if I’ve lent them to a friend! To be honest I don’t know what I would do without it now. Go on have a go. What do you have to lose? After all, it is free. Ceri is an author, graphic designer and librarian. Her books are available from Amazon: A Simpler Guide to Google+, A Simpler Guide to Gmail (Third Edition), A Simpler Guide to Calibre, A Simpler Guide to Finding Free eBooks and Children of the Elementi (YA Fiction).